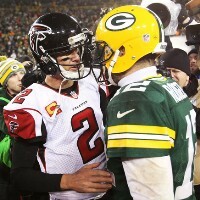 As the Green Bay Packers travel to Atlanta to face the Falcons in the NFC Championship game, there is one thing that most pundits agree on: this will be a high-scoring affair as the game features two of the hottest quarterbacks of the moment in Aaron Rodgers and Matt Ryan. The regular season match at the Georgia Dome between these two teams resulted in a 33-32 win for the Falcons that started a four-game losing streak for the Packers. Since overcoming that slump the Packers have won eight in a row thanks mostly to the outstanding play of Rodgers and an improving Packers offensive line. In that span the Packers have scored 30.2 points per game a number they will try to reach against the Falcons because they are 7-1 this season when they score 30 or more points. Ryan is an MVP candidate for a reason, and with him at center the Falcons can match the Packers offensive power. As a result this game may come down to which team has the ball last as probably the defenses will not be capable of stopping these two gunslingers. The Falcons defense ranked 27th against the pass allowing 263.2 passing yards per game, while the Packers rank 31st , allowing 271.9. Combine those numbers with the outstanding play of both quarterbacks and add the stats of the previous game between these two teams and you have the perfect recipe for a game of 60 or more points and a ton of yards. In the playoffs, the Falcons are doing considerably better allowing 208 passing yards per game, but the Packers have actually done worse allowing so far 293 yards per game. 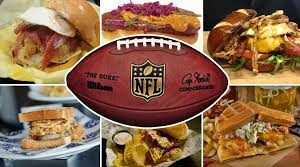 If the Falcons defense somehow shows up and finds a way to contain Rodgers or at least slow him down the Falcons will win this game, but if he’s allowed to run loose don’t be surprised if he pulls another last-second throw to upset the Falcons and advance to his second Super Bowl. On the ground, the Falcons have the edge with Devonta Freeman and Tevin Coleman, who have combined for more than 1500 rushing yards during the regular season and averaged 111 rushing yards per game. They not only are a formidable one-two rushing combo, but also a threat when catching passes out of the backfield. A main concern for Green Bay will be the health of wide receiver Jordy Nelson, who is recovering from cracked ribs and is considered a game-time decision by Packers coach Mike McCarthy. Although the Packers barely escaped Dallas with a win, they could have a problem keeping up with Ryan and the rest of the Falcons offense if he’s not on the field on Sunday.